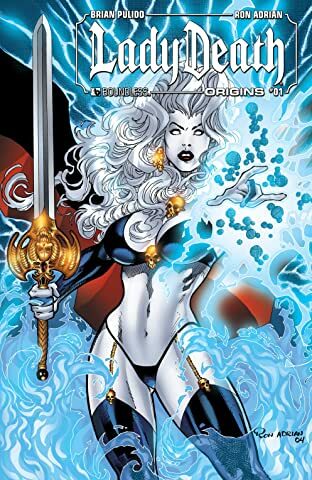 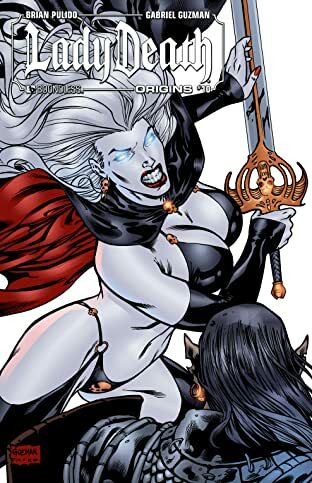 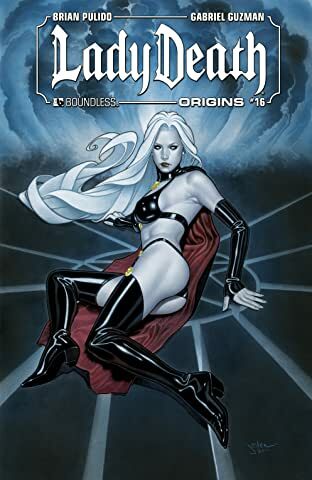 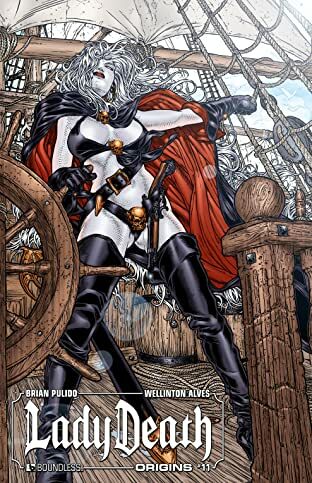 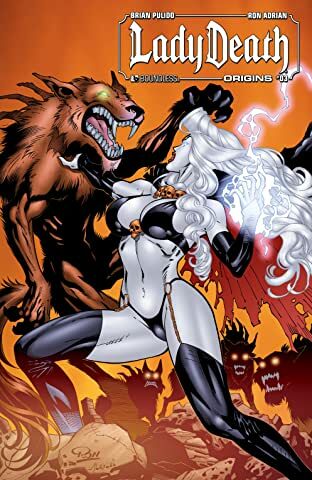 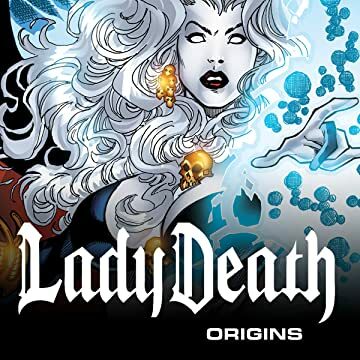 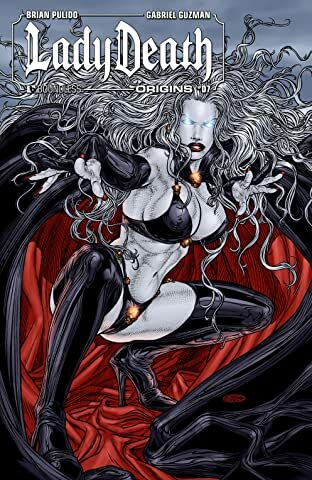 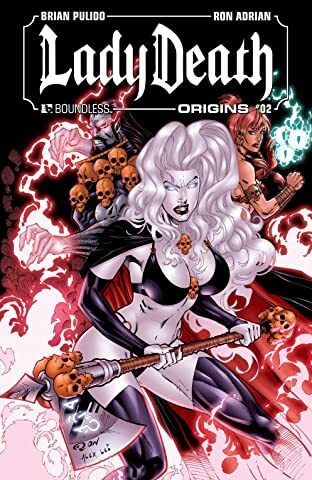 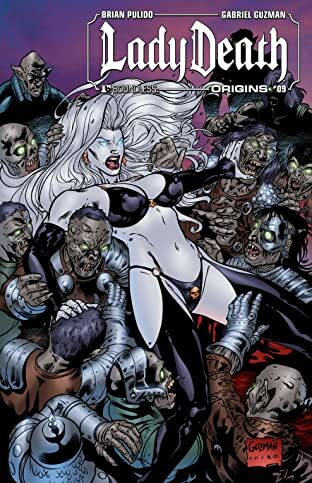 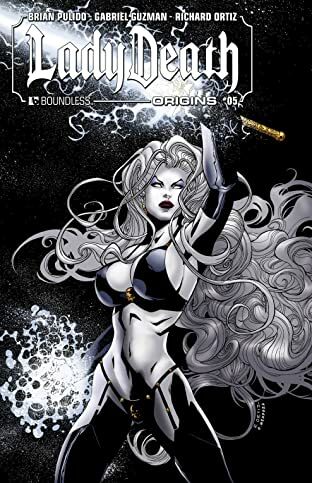 This Lady Death series returns to the themes of the original Lady Death stories featuring cutting-edge epic dark fantasy as only creator Brian Pulido can deliver! 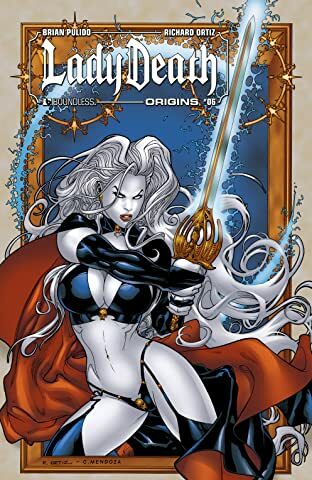 Hope has renounced her humanity and she's sentenced to the labyrinth. 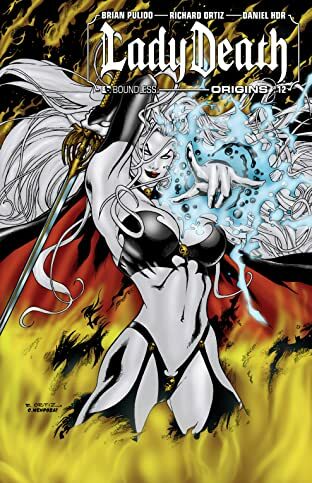 Now forged into the cold, cruel and alluring warrior Lady Death, she joins forces with the mysterious and deadly Wargoth, and master thief/spell-caster Satasha. 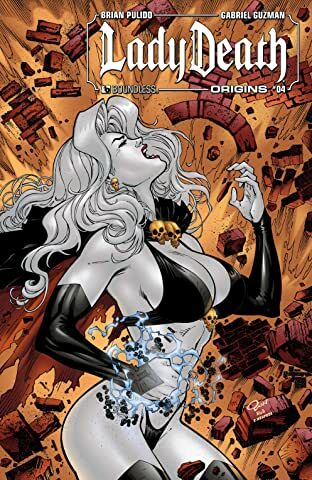 Together they dare the impossible: destroy Sagos, the realm shattering warlock who has kidnaped Lady Death's mother's soul.